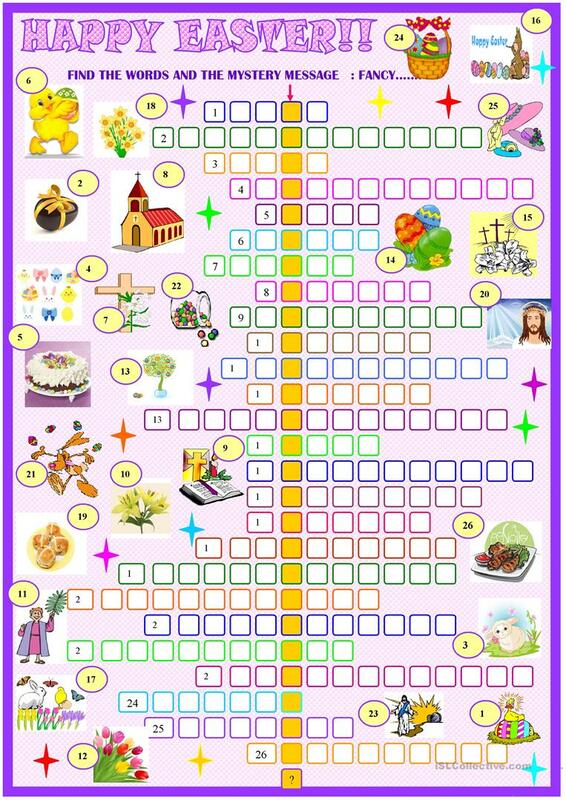 now a small crossword puzzle with a hidden message (KEY INCLUDED)for young learners to learn or revise words associated with Easter, Easter bunny, Easter basket JesusChrist, good Firday, Palm Sunday, EAster Sunday.. The present downloadable handout is intended for high school students, elementary school students and students with special educational needs, learning difficulties, e.g. dyslexia at Elementary (A1) and Pre-intermediate (A2) level. 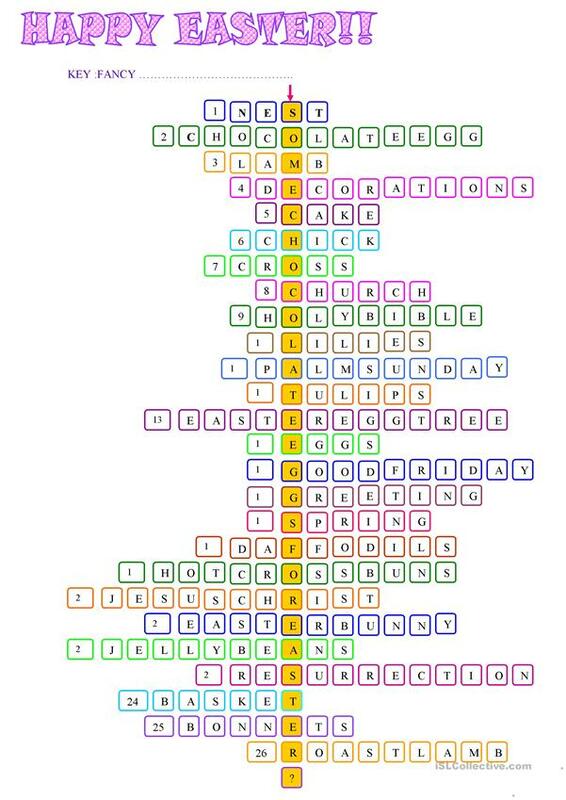 It can be used for improving your learners' Spelling, Speaking, Reading and Writing skills. It focuses on the theme of Easter. It includes the solutions, too.